Forward-looking: Netflix is expanding it's library to interactive movies and games that increase viewer engagement create a new form of consumable media. In 2017, Netflix released their two "interactive movies" aimed at children, Puss In Book: Trapped in An Epic Tale, and Buddy Thunderstruck. These movies are unique in that it allowed kids (and kids at heart) to choose the fate of the main character and drastically change the story. TechRadar reports that the streaming company has teamed up with Telltale Games (known for their point-and-click adaptations of The Walking Dead, Batman, and The Wolf Among Us) to distribute some of their games on Netflix this year. The first of these games is Minecraft: Story Mode. 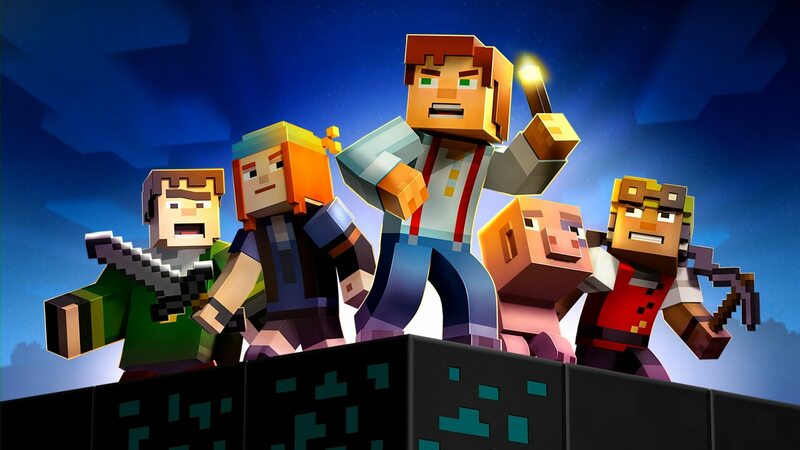 According to TechRadar, Minecraft: Story Mode will be told through five episodes and stream later this year. Instead of a traditional game setup, Minecraft "will be delivered via video files and will accept commands via any remote equipped with directional and select buttons." Although the website notes that there probably won't be any actual battles included. Ideally, this would work on any platform that can use a remote. This would include Roku, Amazon Fire TV, Apple TV, and even smart televisions with a built in Netflix app. Chromecast might be possible if the user could input commands from their device. Obviously, the limitations of playing a game using streaming video is evident. The game would have to modified significantly to allow player movement. Remember, this isn't like PlayStation Now where an actual game is being streamed. This is video content that's being modified to be a game. It may even be somewhat on rails with the viewer simply inputting quick time events and choices. Clearly, Netflix is trying to enhance the experience of watching videos by allowing user decisions to dictate the flow of the story. Telltale's game mechanics would seem a perfect choice for adapting it for an interactive video. Following the success of Minecraft: Story Mode, expect other Telltale games to make their way to Netflix as well.